Discussion in 'Show Your Collection' started by Bird or Prey, Aug 25, 2006. Love this. I might be completely wrong but was this part of a 1 off series that they did? 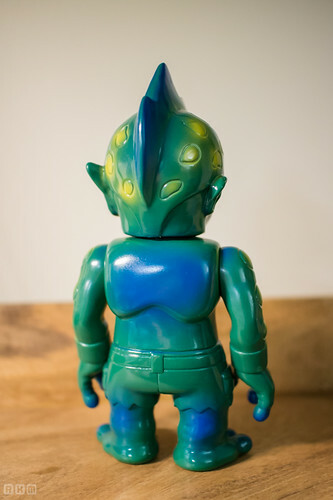 @bryce_r It was from a set of 6 or so customs sold at a RxH show in 2011. YES! I can't believe you are able to find these gems. Great job. itsa_mia, boon velvet and Vombie like this. decypher, SstatusSkuo, Winu and 2 others like this. It's funny how this hobby works sometimes. 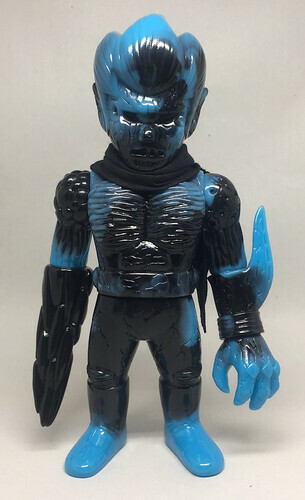 Needed a Nextman for my "OG" rxh sculpt collection... didn't think I'd see one come up for a good while...needed a blue gachigon*--thought it'd be a very easy one to track down. 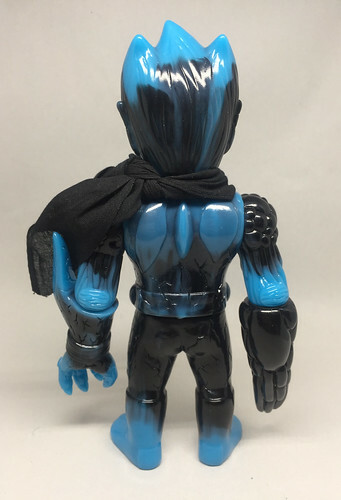 No gachigon yet, but a freakin' OG Nextman gets a new release. Ha! Can't complain. spatula007, decypher and RyanM like this. That Nextman is spectacular! I really like the colors on this release. Congrats! Thanks yeah, it really works well with what I have. Finally arranged everything in a way that speaks to me. Color!!! The only way I can roll when it comes to RxH. bunnyboy, The Moog, RyanM and 2 others like this. I totally missed the boat on the ryusei with the ninja sword, love that one, it's my favourite of the old sculpts. The Moog and Vombie like this. Lovely stuff, and with RxH there are so many mad colorways to choose from . . .
Also, the little Bero Bero. Always makes me smile when I see either of them on someone else's shelf. This thread needs more action. I give you the mythical white Organ Bat and the lottery prize 'Hiro Bat' (on a side note, I wonder who this one belonged to). bunnyboy, The Moog, Vombie and 2 others like this. Was there a white Bigaro? 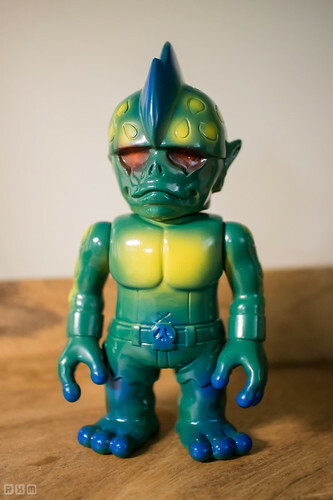 I still have a white Mutant Head, Mutant Evil, and Mutant Chaos from Kaiju Taro. So nice. Not from the SOLID line... I think all 4 were released in unpainted white in 2006. EDIT: Yes, the white Bigaro was a lucky bag release at Super Festival in January 2006. The Head and Evil were normal releases; the Bigaro and Chaos were chase figures. gatchabert and The Moog like this. 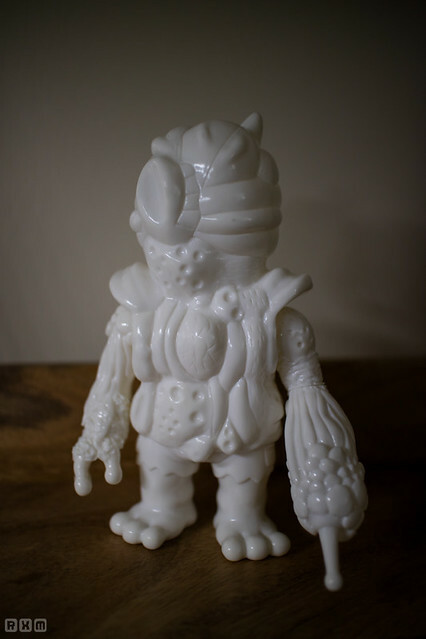 The first release of Organ Bat was one of the toys that got me interested in Sofubi. I still have it and love it just as much nowadays. It blew my mind that something so weird looking could be a proper toy. The 'face' still reminds me of burnt bubbles on a pizza. I have the unpainted white Mutant Head, i wish I'd grabbed a few more of those solids. Pure white shows off sculpts to maximum effect. 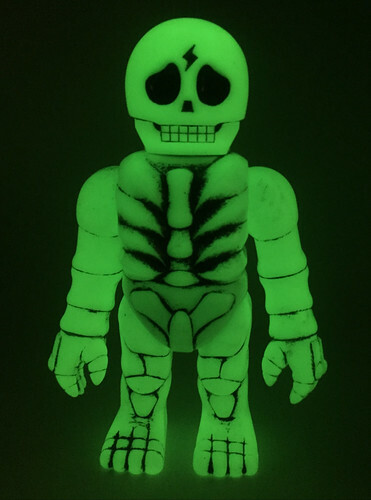 Either that, or unpainted GID, but the shadows you get on pure white are sharper. I wish I had picked up more of the SOLIDs simply because they are nearly impossible to find in unmolested form these days. 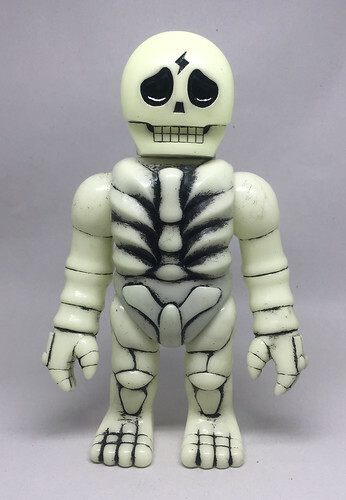 Got this guy from Mori-san himself while I was in Japan, love the simple skull. Pick up from Mandarake Shibuya, love the marble on its face. xSuicide Squadx, doomboy, The Moog and 4 others like this. 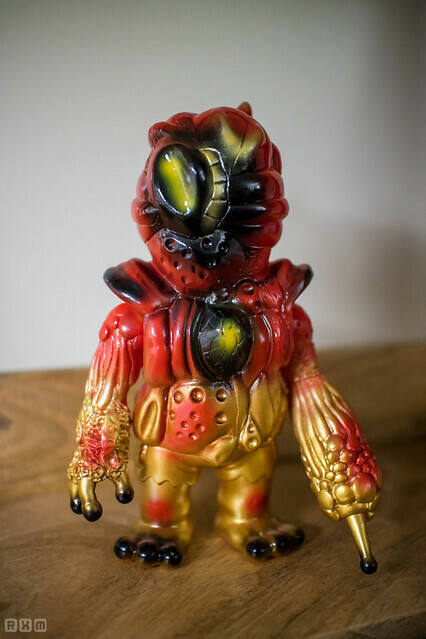 The Dokuro-magnon really has that simple magic of the old RxH figures. Anything interesting seen/heard while visiting the shop? Just that he would be at dcon, I was bummed since I came all the way to Japan and then they were in the US! that he designed for them. He had a blank glow one just sitting there so I had to ask about it since I had never seen it. The Punkdrunkers owner, Oyakata?, mentioned they are trying to bring the licensed Mazinger Z piece to dcon. Doubt that will ever happen. Had me hoping for it after seeing them for $700 at Mandarake. MH-L0 something something. This one has been on my list ever since seeing it in the Mook years ago. I think it has one of the most eye-catching color schemes of the old Mutant Heads. Nate, Russblue11, Vombie and 5 others like this. Nothing new but the picture. Spaceman Yells, The Moog and IronPaw like this.